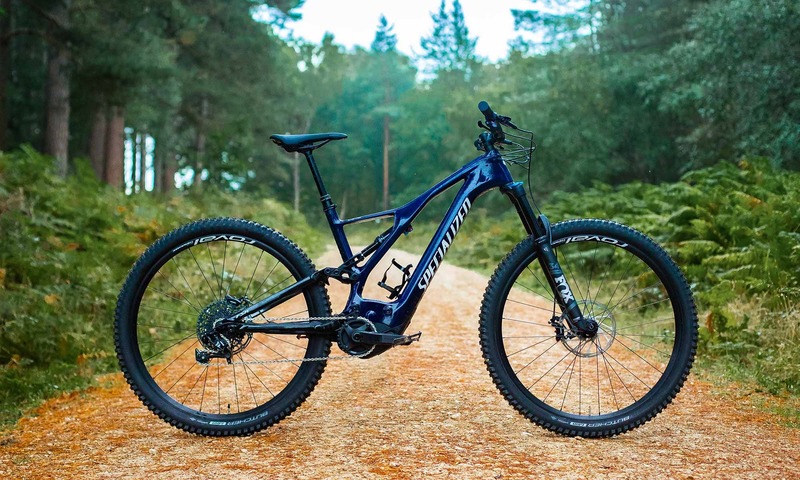 Here at Rutland Cycling we are huge fans of electric bikes, especially electric mountain bikes, but many people are unaware of the difference between a traditional mountain bike and an electric mountain bike! 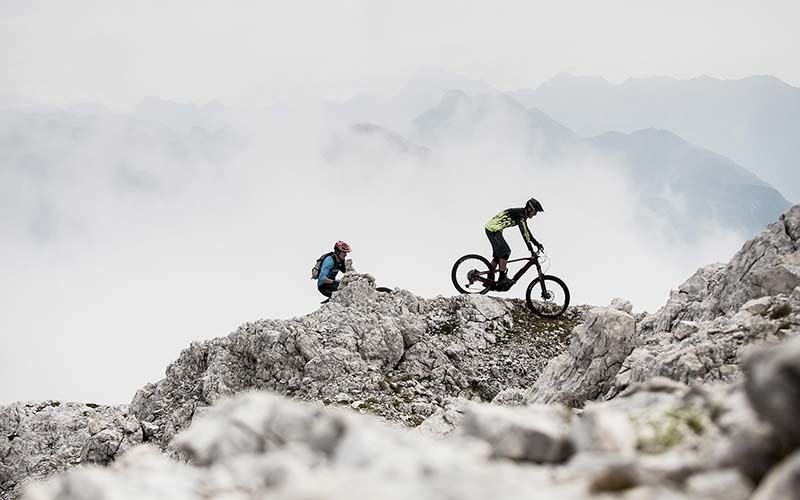 Electric mountain bikes are taking thrill seeking riders to the next level, but with so many questions surrounding the benefits of electric bikes it can be hard to decipher the truth. In this review we will be going through the differences and what this means for you as the rider! Motor: Controls the torque. The more advanced the motor, the greater the amount on torque, the more power you can get out of the bike. Electric bikes either come as pedal-assisted crank motors or hub motors, which drive the wheel itself. Hub motors aren't often found on high-end electric bikes so we'll focus on crank motors (pedal-assist). Crank motors provide pedal assistance, so to get the motor working you need to pedal and the motor will kick in, helping you up those tricky climbs. As the power is transferred through the cranks this gives a much more natural feel than the wheel turning round on it's own, the motor can deliver just the right amount of assistance depending on the force you put through the pedals. This gives the rider the feeling of riding a traditional MTB but with the added bonus of being able to climb faster and with less effort. Battery: Dictates the how far you can ride, the more expensive the battery, the further you an go. E-Bikes batteries are made from lightweight lithium-ion, similar to those used in electric cars, laptops, and phones. To recharge, they simply need plugging into a mains socket for a couple of hours (this can vary depending on your battery) and you can leave the battery on the bike or remove to charge. Additional battery packs are available to purchase and most bikes can be upgraded with a larger size battery from the brand, browse our range here. Bosch motors are available in three different models, all with 250W of power and delivering 50/60/75Nm of torque (remember, torque determines how much power you will get from the motor). Bosch batteries are 300-500W/h and all use Bosch's Intuvia display and controller. Yamaha motors offer similar performance and configuration to Bosch units, with 70Nm of torque powering the cranks and an easy to use LCD controller. Shimano, the world's leading cycle component manufacturer, produces the 'Steps' e-bike motor system, with 418W/h capacity. Specialized E-MTB's come with custom designed Brose motors and batteries, tuned for Specialized bikes. They offer 500Wh and 700Wh batteries and provide 560W and 90Nm of torque in the Brose 2.1 Motor. As E-MTB's have evolved over the years, we have started to see E-Bike specific suspension, tyres and even wheels. E-Bike parts tend to be strengthened to account for the extra weight of an E-Bike, or the torque that passes through the drivetrain. All of these parts will help to give greater performance of the bike, as well as miles before replacement. Take for example the SRAM EX1 drivetrain that has been designed specifically with an E-MTB application in mind. The EX1 drivetrain only has 8 speeds, but each chainring has been designed to provide the optimal step between gears to give you increased battery life and greater durability. What are the advantages to riding an E-MTB? What many don't realise is that an E-MTB is just like a traditional MTB. They have the same suspension, same wheels and same derailleur gears that you're used to, just with some added power. This means that E-MTB's feel great whilst riding, are easy to maintain and upgrading their components is simple. 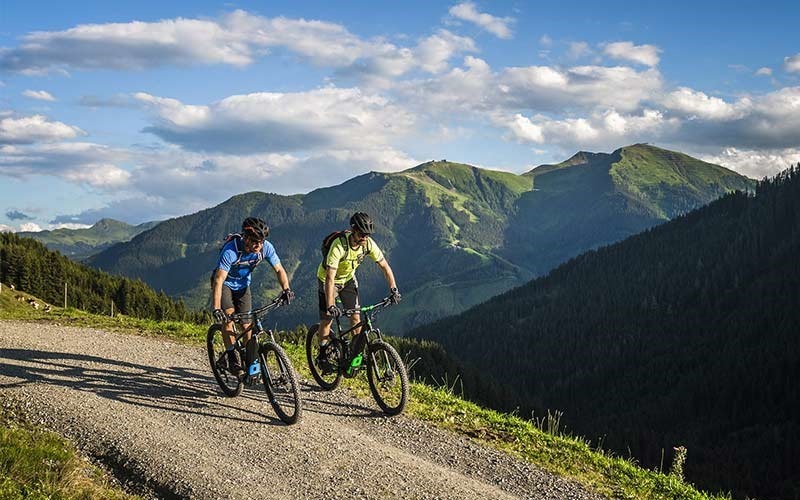 With an electric mountain bike, you can ride further, discover hidden trails and conquer those normally unrideable climbs. E-MTB's mean no one is left behind, you can ride with that faster group and enjoy longer days in the saddle without completely sapping all your energy. E-bikes allow everyone to experience that feeling of freedom riding a bike gives you, they aren't just another toy, they can completely change your attitude to cycling. How does it feel riding an E-MTB? Rutland Cycling employee Luke is a keen mountain biker and recently turned E-MTB expert and rider! We asked him how riding an electric bike compares to his traditional MTB. To put it simply, riding an E-MTB, is just like riding your normal mountain bike, modern designs have brought the geometry of the bikes bang up to date and sometimes it is hard to notice you're actually riding an E-Bike. Yes an E-MTB weighs more than your regular steed, but you do have the motor to support you uphill and the extra weight makes for some controlled handling when tearing downhill. E-MTB's are there to take the bore out of the fire road and to ease the pain of that climb you haven't yet completed, allowing you to enjoy the downhills more, and explore further. This is the common response by most riders when you mention an E-Bike, some people do see it as cheating as they believe that all riding should be powered by your own legs. But if you're having more fun whilst doing it, does it matter? Here at Rutland Cycling, we want as many people as possible to discover the joys of cycling and if this means using an E-Bike then so be it! E-Bikes were created to get rid of any excuse not to ride! Not enough time to get in one more lap? Too many hills to cycle to work? Not fit enough to keep up with your friends? An E-Bike removes all of these barriers and gets you out riding more often and further! E-MTB's come in all different shapes and sizes, but fundamentally they all boil down to a couple of things... the bike itself, and the motor. An E-MTB is just like a normal mountain bike so when searching, it is important to think about your type of use, are you going to be conquering all day epics, riding downhill with a few shuttle runs or a few laps at your local trail centre? From your usage type you can deduct the amount of suspension travel and geometry that a bike has to offer. With an E-MTB, it isn't necessarily a bad thing to opt for more suspension travel. A long-travel bike would normally cause a few problems when tackling climbs, but thanks to the added assistance from the motor, this is no longer a worry, allowing you to feel confident on downhill sections and breeze up technical climbs. Can an E-Bike improve your favourite ride? The motor is also an important factor, and it is often down to personal preference on the system you decide to go for. The different systems from Bosch, Shimano, Brose and Yamaha, all have different characteristics, right from the amount of top-end torque, to how the assistance is provided. 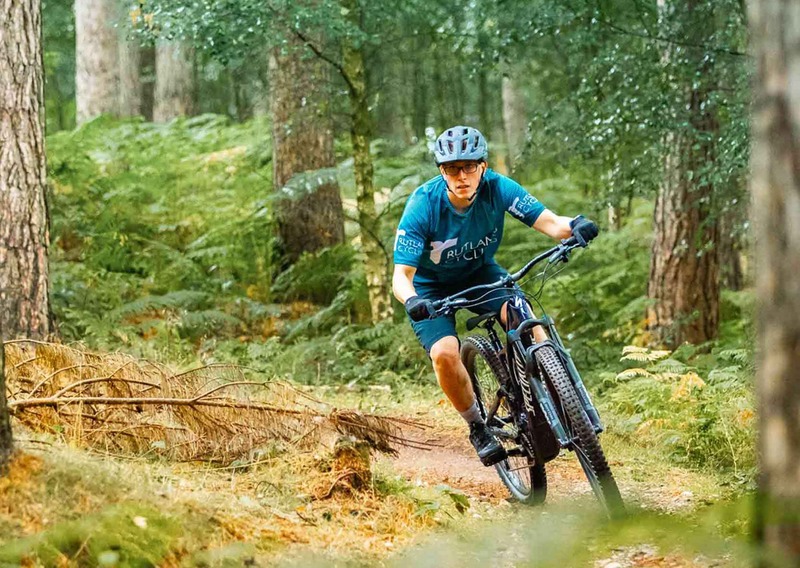 Here at Rutland Cycling, we have a wide range of E-MTB's to try in our stores, as well as demo services to give you peace of mind that the bike you are buying, has the right motor for you. The next important part to consider is the battery capacity. Often we see a 500Wh battery on an E-MTB application, which gives enough range for a days worth of riding if you are being careful with how much assistance you are using. As bikes get more expensive, you tend to see a bigger battery, the bigger the battery, the more range you are going to get from the bike. There are a couple of helpful tools from Bosch and Specialized that will tell you the range you can expect from different bikes and motors. So what's the downside to an E-MTB? Well, there really only is one. E-Bikes are heavier than traditional E-MTB's, this is due to the weight of the battery and motor but unless you plan on lifting you're bike up and down regularly, this really isn't an issue as on the climbs where you would normally feel the extra weight, this is counteracted by the assistance of the motor. How much do E-MTB's cost? 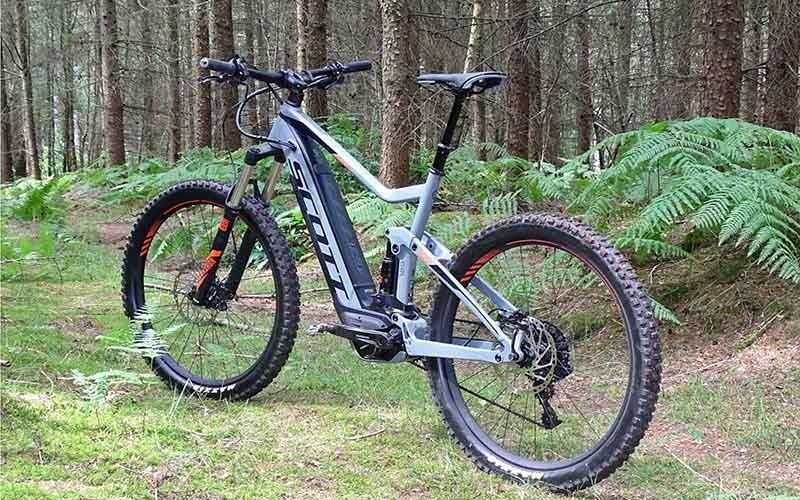 E-Bikes do generally cost more, due to the motor and battery but prices start from £1500 for hardtails and £2500 for full suspension bikes. Here at Rutland Cycling we offer flexible payment options, you can spread the cost of your bike up to 48 months. Find out more about finance here. Come and try and E-MTB! You could sit here and read all about how it feels to ride an E-MTB, what type of motor and battery you need, and how much front travel you should have. Or you could come along to one of our 5 E-Bike centres in Rutland, Cambridge, Peterborough, Grafham, and Pitsford, where you can speak to our friendly, knowledgeable staff who will be able to help you find the perfect bike for your needs. You can demo a bike for 30 minutes for free or take one out to your local trails for 48hrs, find out more about demo bikes here! Come along to one of our E-Bike centres in Rutland, Peterborough, Cambridge, Grafham, and Pitsford!